Tea leaves at Gardenia’s Cafe. Some people get it on the carousel of life. Like Delicio in bear costume. Not sure what to do today? Meditate on a Tarot card and find a new sense of direction. 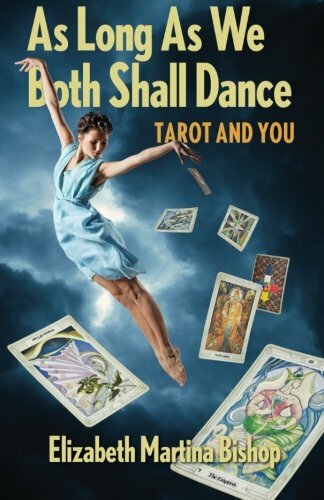 The studies on the Tarot cards offered in the pages of this book may inspire you to make a shamanic excursion into the vast, unknown worlds of poetic endeavor and fantasy. When using your imagination, the choices you make on the path to self-realization offer new lessons that may later lead you towards a more formal study of the Tarot. Either from an unimpeded perspective of the archetype itself or a candid tarot reading, you experience the 22 symbols in the major arcana of the tarot. In their expressions, the archetypes remind me of the Greek or Roman pantheon— powerful, impenitent, shameless and fully themselves. The readings are not rose-colored, but interpretations filled with the grittiness of real life. Each it’s own story and some continuations that, by depicting the background and temperament of the person seeking advice, exposes our characteristic humane frailties. This is not a book for those seeking a clear explanation of symbolic meanings or a how-to of the Tarot. Instead, Bishop skillfully weaves together fragments of images, sensations and dialogue to offer dreamtime impressions, not explanations. Hence you are left with a knowing that goes deeper than what you cognitive self can grasp.